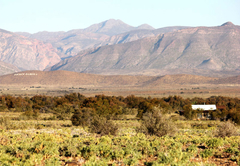 Wolvekraal Guest House is a property providing self catering in Prince Albert for tourists visiting the Karoo region. 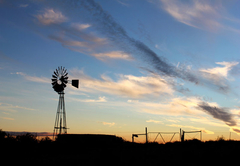 Wolvekraal Guest House and farm welcomes you to experience the calmness, and silence of the wonderful Great Karoo, where time seems to stand still. 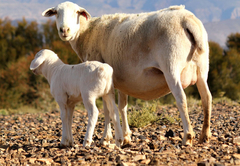 Enjoy your stay in our cosy fully equipped cottages or spacious private room situated on a commercial sheep farm. 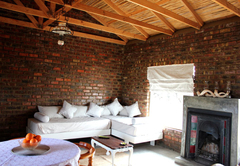 This cottage is perfect for a family and contains one double bed and two single beds. 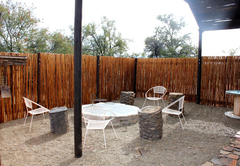 There is a fully equipped kitchen, a dining room and cosy living area with a fireplace. 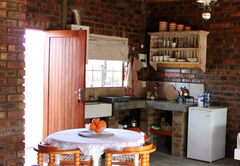 Spekboom is a fully equipped farm style cottage. There is electricity for a bit of luxury or otherwise paraffin lamps for those who enjoy the simplicity in life. There is a double bed in the main bedroom and two single beds in the living room. 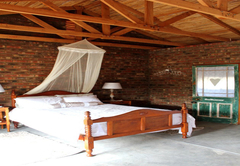 This is a spacious private room boasting one double bed and one single bed. 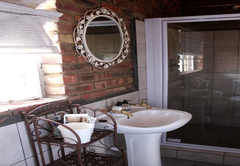 There is an en-suite bathroom with a bath and shower. 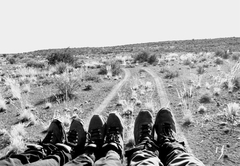 Guests can hike anywhere on the 4000ha farm. 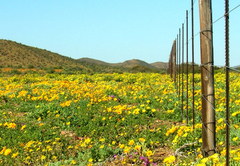 Enjoy veld drives with beautiful panoramic views of the Karoo. 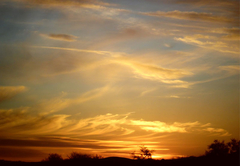 Toast to the breathtaking sight of a glorious sunset and during the evening the stars are spectacular. 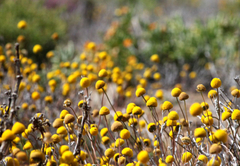 The farm has more than enough space to enjoy mountain biking, long hikes or easy walks along sheep paths. 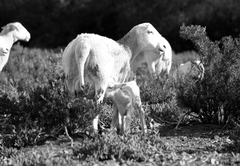 The farm is the perfect base from which to explore Prince Albert (home of ‘Kokkedoor’), the Swartberg Pass, Gamkaskloof ‘Die Hel’, Meiringspoort and Oudsthoorn. 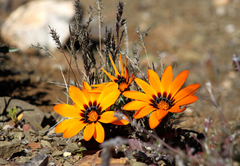 Prince Albert is a characteristic little town on the foot of the Swartberg Mountains, with lots to interesting things to do and places to go. Visit Prince Albert tourism for info on the latest shows and activities in an around town. 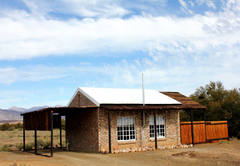 Stroll through town and enjoy the architecture of typical Karoo style houses. 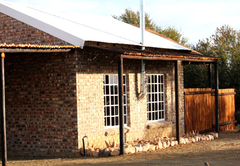 Visit the museum, Gay's dairy, Kokkedoorstoor and lots of local restaurants and shops. This cottage is ideal for a family as it has one double and two single beds. 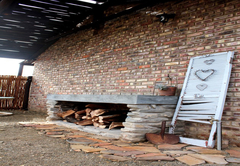 There is an equipped kitchen, dining room table and living area with a fireplace. 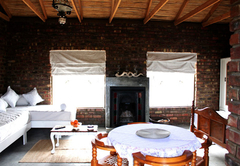 Spekboom is a fully equipped nostalgic farm style cottage. It has a double bed in the main bedroom and two single beds in the living room. Electricity for your luxury or paraffin lamps for simplicity. Spacious private room. One double bed, En-suite bathroom with bath and shower. Quiet relaxing garden. 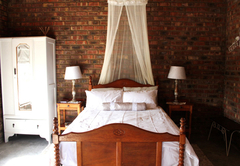 Response timeWolvekraal Guest House typically responds to requests in 5-10 minutes.